United States Air Force Lt. Col. Chuck Polomsky runs an elite school at Joint Base McGuide-Dix-Lakehurst, training C-17 pilots to become masters of the skies in a war zone. But everyone, of course, needs a day at the beach sometimes. 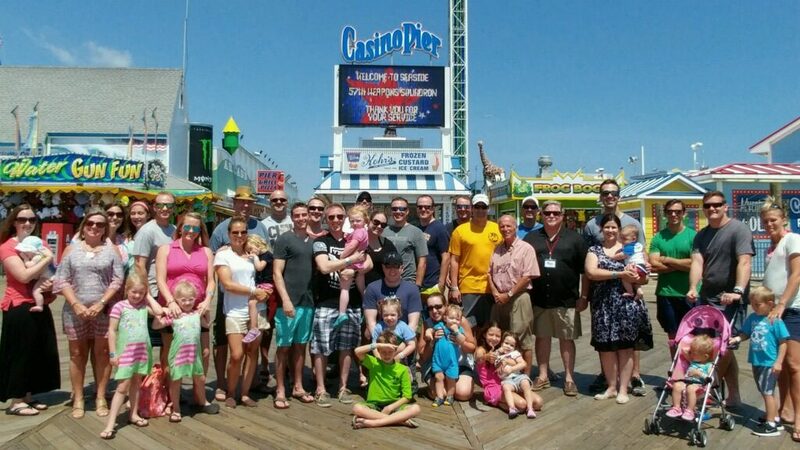 Seaside Heights officials, along with several local business owners, welcomed members of the 57th Weapons Squadron to town on Friday, treating squadron members and their families to a day at the beach, lunch and time on the rides and water park at Casino Pier. The event was a thank-you to the airmen at the joint base for their service, and their families for the sacrifices they make in support of the mission. 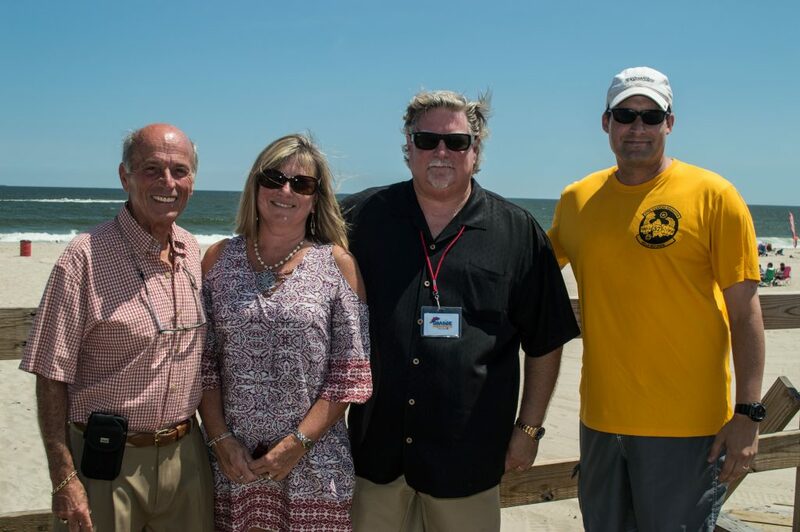 Realtor Mike Loundy, whose company Seaside Realty provided lunch at Jimbo’s for the squadron, said Seaside Heights was the first beach town in New Jersey to provide free beach access for military families, an idea his own daughter came up with while working on a high school social studies project. “Our mayor and council agreed to open our beaches to military members and their families even before it was legal throughout the state,” Loundy said. For members of the 57th, a day at the beach is a welcome day off from what Polomsky describes as a “Ph.D.-level course” for pilots. The course focuses on maximizing the capabilities of the C-17, a strategic and tactical airlifter, to integrate with electronics and weapons systems in a war zone. In such an intense program, the families of the airmen often have to make their own sacrifices. The event was also organized by Mary Ann Wissel, CEO of the Ocean County Board of Realtors, who is serving as the honorary commander of the 57th this year. “That is basically for the community to be aware of what goes on at the base and the importance of the base to our area,” she said of her role. Seaside Heights continues to offer free beach access to military families, and its discount program is larger than ever. “I think the word has gotten out that we’re military-friendly to the truest degree, where we lead with our pockets, and we’re very proud to do it,” Loundy said.